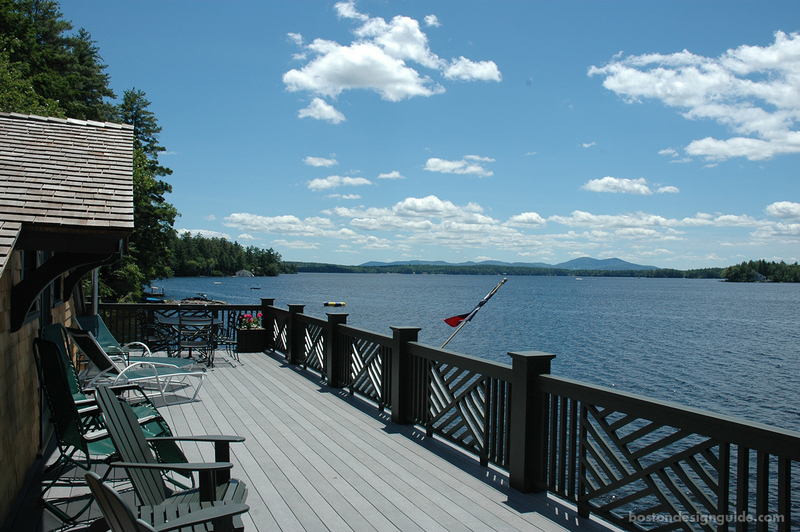 Homeowners are using every inch of their properties and creating specialized structures that enhance the way they live. From amped-up entertainment barns and pool houses to beautiful boathouses, garden structures and chicken coops, these onsite structures are functional, recreational and, often, a mix of both. Principal Patrick Ahearn, FAIA, of Patrick Ahearn Architect all but wrote the book on creating spaces designed for the art of living well. 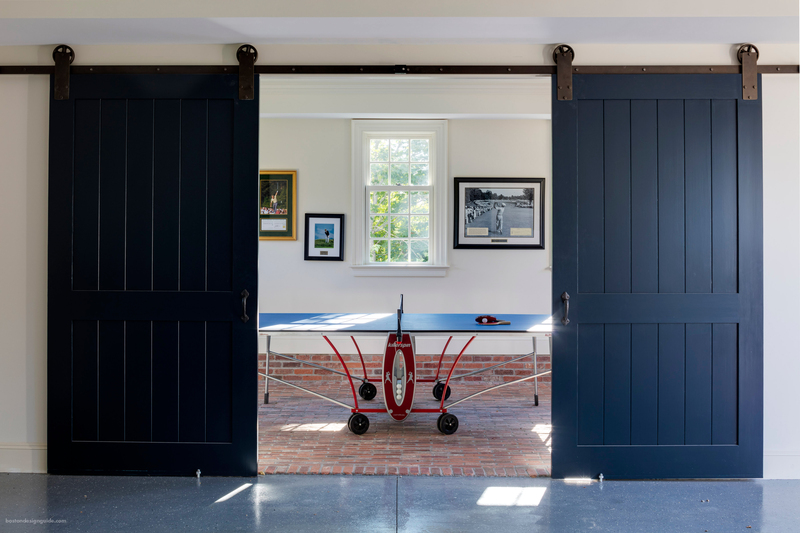 He often designs outbuildings for the Vineyard properties he conceives, but we were particularly struck by this multitasking structure that serves as a carriage house as well as a pool cabana. The building as a whole was designed on a smaller scale than the main home to respect the hierarchy of the property and bring that architectural balance that Ahearn’s firm is famous for. 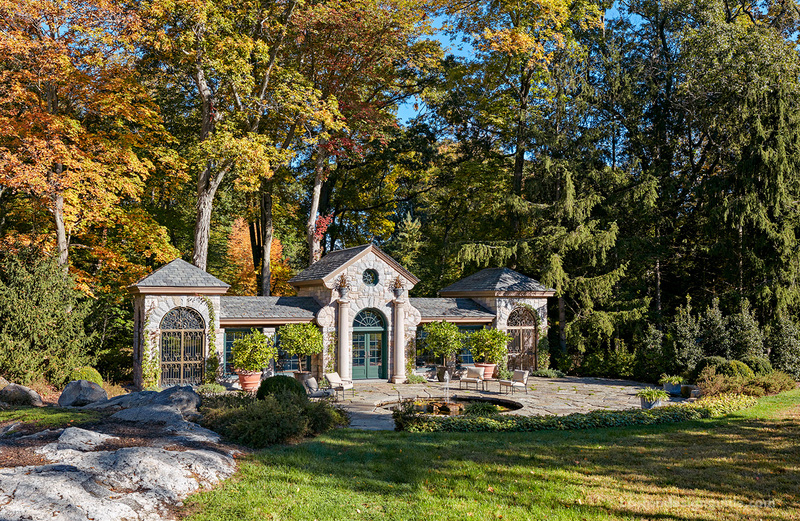 While the North façade functions as the carriage house, the eastern side serves as a pool cabana with guest quarters above. The poolside’s entry echoes the design styling of the main entry, and includes playful Chippendale railings inspired by the portico and widow’s walk of the main home. 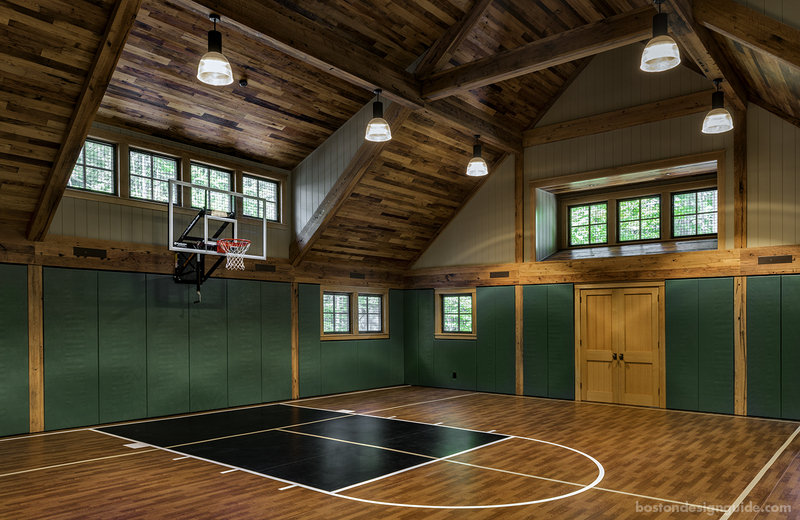 There are other charming details as well, like a ping-pong room with bricked flooring and sliding barn doors. 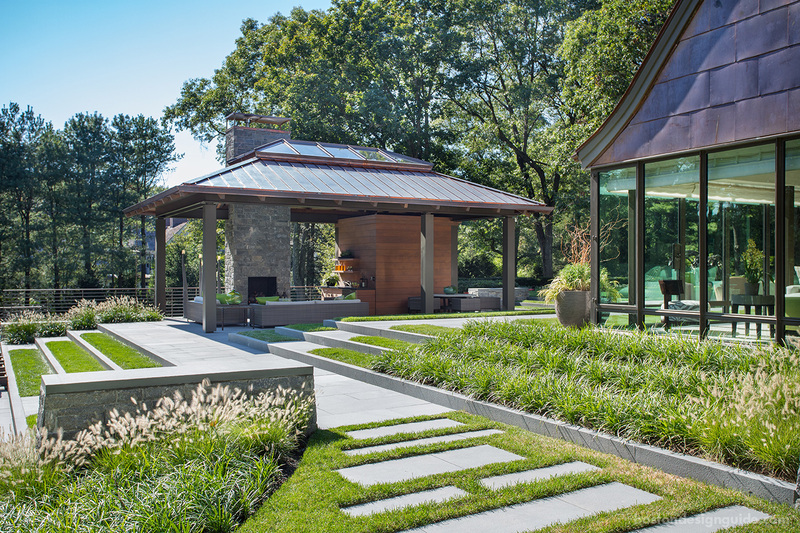 Charles Hilton Architects has a relationship with a Greenwich, Connecticut, homeowner that’s a throwback to that of the patron/architect bonds of yesteryear, when architects enhanced properties throughout generations. Over a 25-plus year period, Charles Hilton Architects has added new structures to a Georgian estate as the homeowner has acquired new pieces of land. Chief among those additions is a Marie Antoinette-inspired French Normandy farmhouse, a secondary property made for entertaining and serving up farm-to-table fare. While we won’t be so bold to suggest that the farmhouse is an “outbuilding,” there are a few structures that are, including the above limonaia, which was built in 2014 for the residents’ lemon trees. 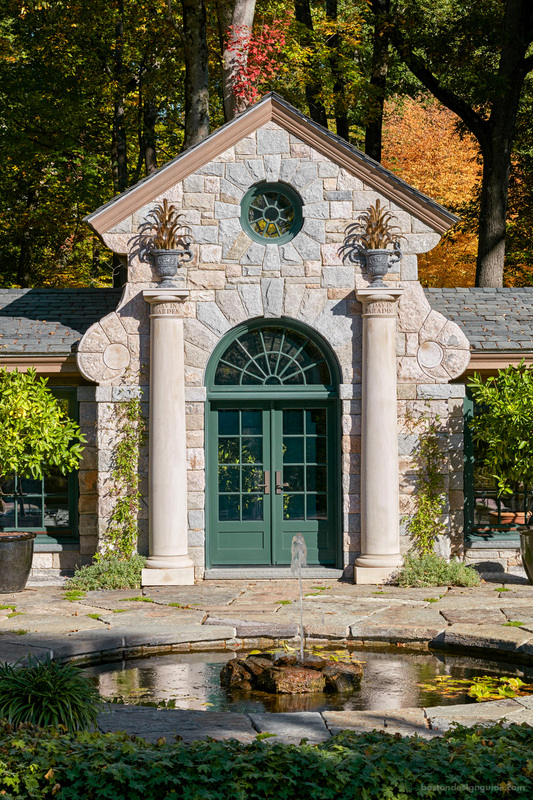 The Palladian structure was “inspired by the owners’ sojourns through the gardens of Italy,” shares the firm, and certainly looks the part, with its rusticated stonework, handcrafted bronze gates and entryway fountain. The limonaia was designed to command attention to the central pavilion and loggia, features a potting room and antique carved limestone sink in pavilions at opposite ends, and, of course, bears fruit that owners enjoy in their recipes. 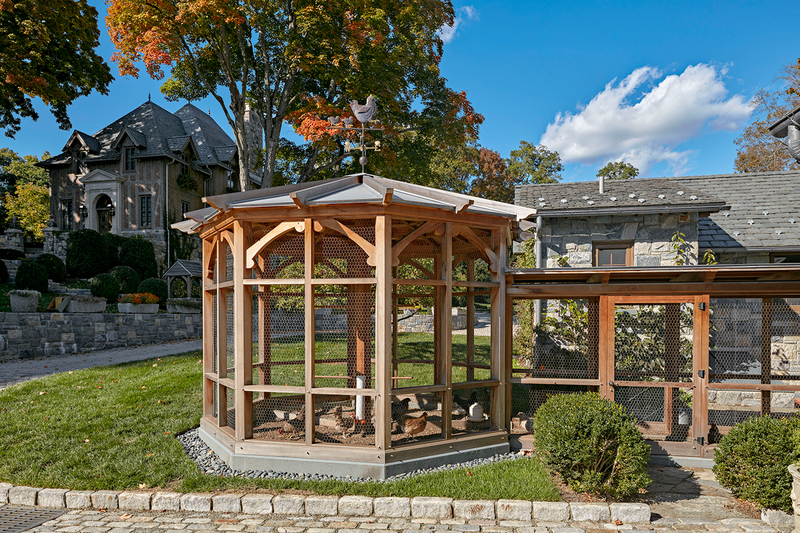 In another spot of the property, Charles Hilton Architects connected a chicken coop to an existing guesthouse. A little less grand but no less useful, the structure gives the chickens a roost of their own, and the homeowners have fresh eggs from their working farm. 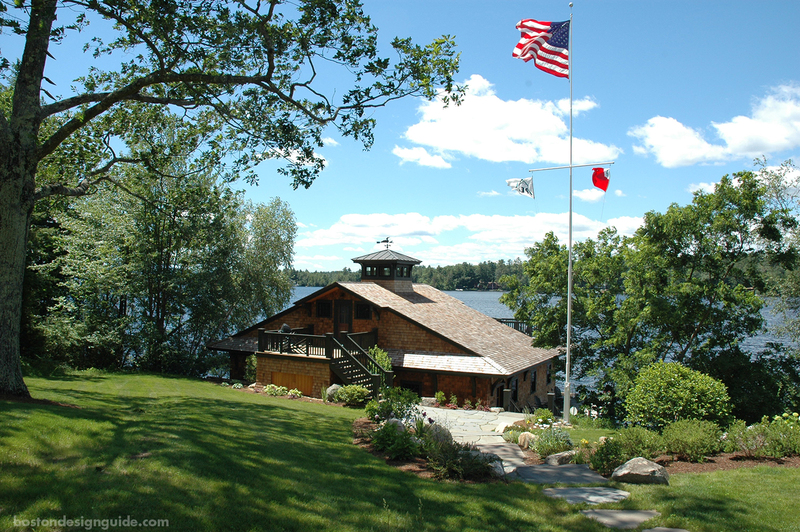 When a picturesque Winnepesaukee shingle style lake house needed a worthy boathouse, the owners enlisted Rob Bramhall Architects to completely reface the existing structure that had been there since 1921. 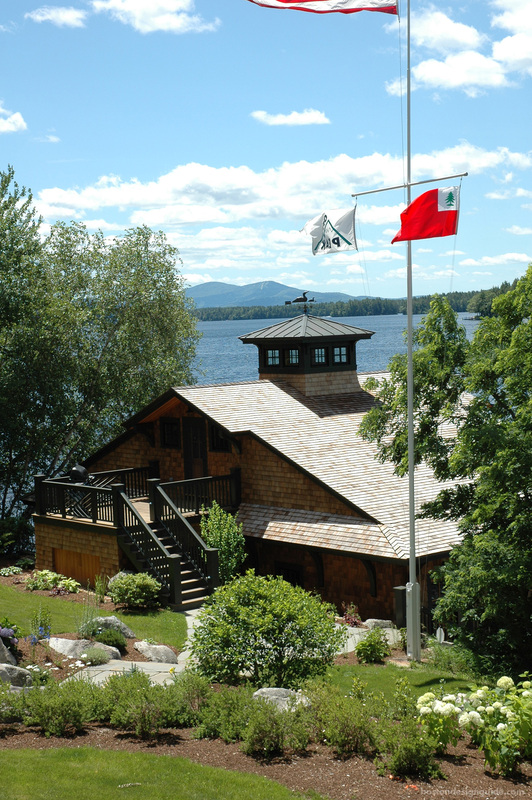 The firm re-clad the boathouse in that unmistakable red cedar shingle finished with a green-black trim and refreshed the structure to be in keeping with the main home. 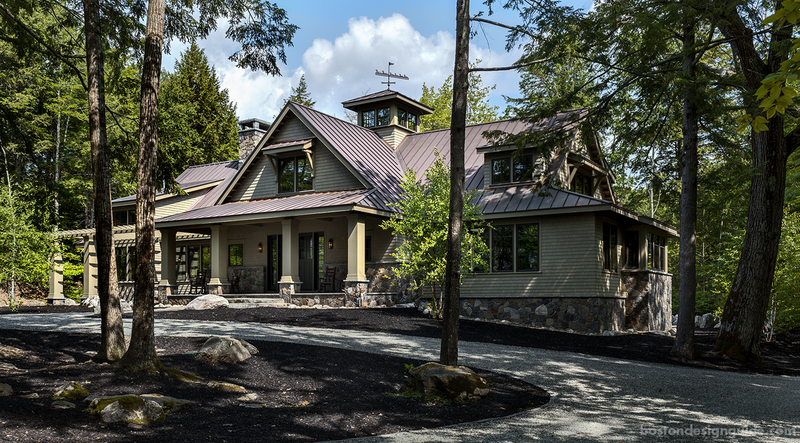 Another lake house property, this one imagined by TMS Architects, sought to create a separate ‘playhouse’ that could delight their extensive family friends and serve as a favorite getaway destination. For the exterior, the firm used the same—or similar—materials to the main house and guest cottage, including cedar shingles, stone veneer and a copper roof, while the interior is replete with reclaimed chestnut wood from down south. 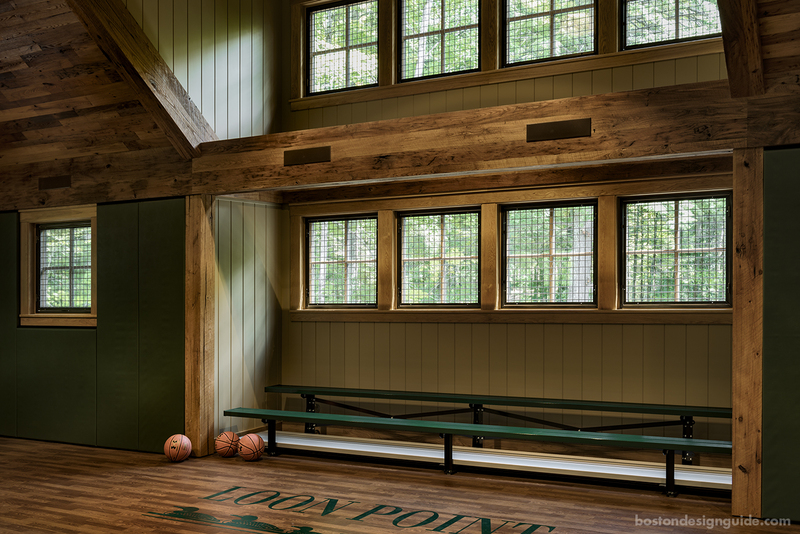 An eight-foot wide cupola spills plenty of natural light into the structure, which was designed to evoke a Maine summer camp lodge. Though it’s termed “playhouse’, this outbuilding pleases young and old alike with amenities including a kids’ game room as well as an adult lounge warmed by a rustic double-stone fireplace, two 10-pin and duck-pin bowling alleys and a snack bar with vintage charm in spades. The gymnasium, however, complete with bleacher seating and a basketball court, is a definite highlight, and scores big with the fans that come each summer. When a client wanted an open-air pool house that they could also enjoy before the heat of the summer season, LDa Architecture & Interiors created a garden getaway, with proximity to both the house and pool. The homeowners didn’t want a patio or a screened-in porch, but rather a building that was open on all four sides where you can feel disconnected from the house yet connected to the landscape. “As a garden element we could play with the design,” shares LDa principal Treffle LaFleche, AIA, and the firm used “a language of contemporary materials,” including a steel superstructure, a timbered wood roof and copper cladding that connects the construct back to the main house. The fireplace became an integral design feature (key during the shoulder season), and a pyramidal skylight crowns the structure, which, depending on the time of day, streams in sunshine or starlight. Other amenities include a wet bar, sink and refrigerator, as well as a bathroom and changing room and a lower level that stows all of the pool equipment.